The Greek Supreme Court’s decision last month not to extradite eight Turkish army officers wanted for taking part in the coup against the AKP government last year has sparked a period of heightened tension between the two countries. This has rapidly worsened in recent weeks. 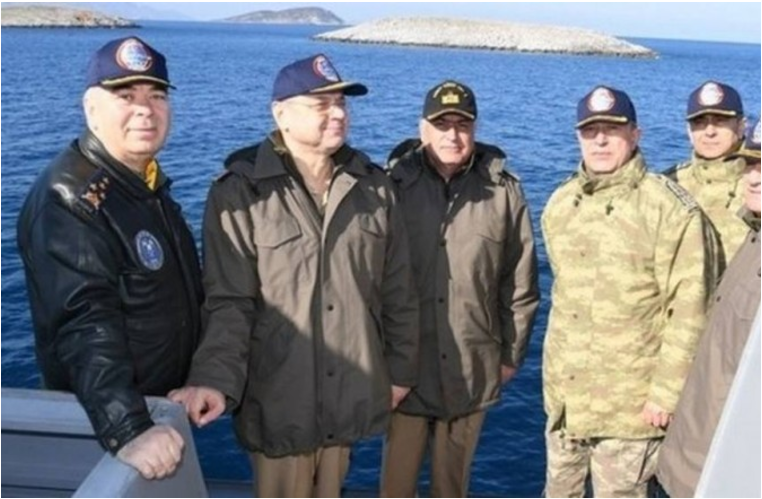 On January 29, Turkish Chief of the General Staff Hulusi Akar circulated a selfie taken in front of the Greek island of Imia. The two countries nearly went to war over the uninhabited Greek island in 1996, and Greek naval and coastguard vessels have tended to avoid it since, in the interest of smoother relations. 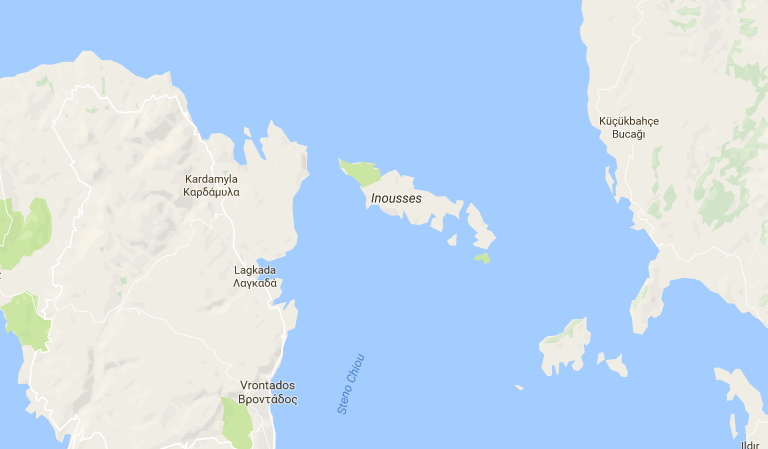 On February 8, according to Greek media reports, three Turkish coastguard vessels anchored a mile offshore the Greek islet of Panagia, east of Oinouses. Panagia is the large islet immediately east of Oinouses. The Turkish mainland is to the right and the island of Chios to the left. The following day, the official Turkish wire service Anadolu published a video purporting to show Turkish coastguard vessels chasing a Greek coastguard vessel away from Imia, east of Kalymnos. A week later, on February 18, a Turkish coastguard vessel performed a live ammunition exercise in Greek territorial waters off Farmakonisi, an islet east of Leros, which has a Greek military post. Over the same period, the Greek military reports a wide range of violations of Greek airspace – though here there is a difference of opinion. Whereas Greece and Turkey agree that Greek islands enjoy territorial waters of six nautical miles, Greece unilaterally claims territorial airspace of ten nautical miles around its islands, a designation Turkey disputes. On February 21 Greek Foreign Minister Nikos Kotzias described Turkey as a “nervous power” engaging in assertive displays in the Aegean to deflect attention from the “big problems in its interior”, not least the April 16 referendum on whether to convert Turkey’s parliamentary system of government into a presidential one, strengthening President Tayyip Erdogan. Greek and Turkish military and diplomatic officials have on the whole kept their cool, in apparent understanding of the vicissitudes of the political process in Turkey.